1. 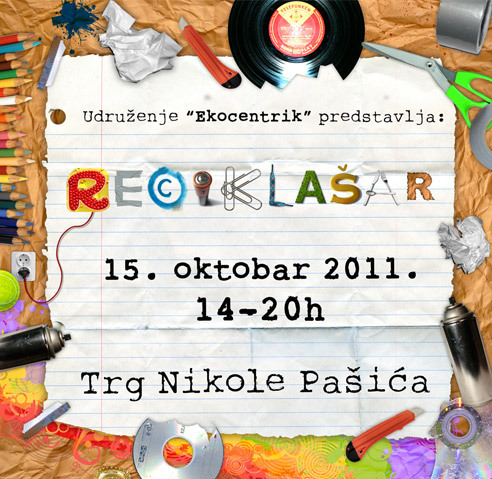 Reciklašar - a recycling fair is a project aiming to show that it is possible to create art from recycling. All artists using recycled or re-purposed materials had the right to enter the contest, and around 20 of the chosen participants will have their works displayed at the exhibition on October 15th in Belgrade. Ekocentrik is a non-profit organization founded in Belgrade in 2011 by young enthusiasts. 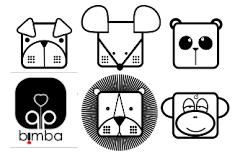 Their idea was to attract attention to current issues through different educational, multimedia, art etc. projects and to involve interested parties through different happenings, workshops, forums thus showing that we all play equally important parts in protecting the environment and the world we live in. * You can find the definition of ecocentrism here. 2. Creative Women – inventions from Sweden, exhibition opening on October 12th at the National Museum of Science and Technology in Belgrade. The exhibition will focus on women's creativity and present both world-renowned women inventors as well as less known inventions that came about as a result of every day needs and creative way of these women to simplify their lives.Out of more than 40 investors presented, the youngest one was 15 when she patented her invention, while the oldest one was 87. Part of the exhibition is also dedicated to Serbian women inventors, members of Belgrade association of inventors as well as industrial design students. Unfortunately, I won't be able to see any of those two, I can just hope we will be able to get some photo journal from Reciklašar, and that the Creative Women exhibition, being a travelling exhibition, will find it's way to Hungary too. P.S. I love comments, so please leave some if you'd like.